This area, including Sogne, covers the 50 km between Kristiansand and Lista which was defended by a small amount of batteries. Additional pictures, Henk Adriaanse, 2012. 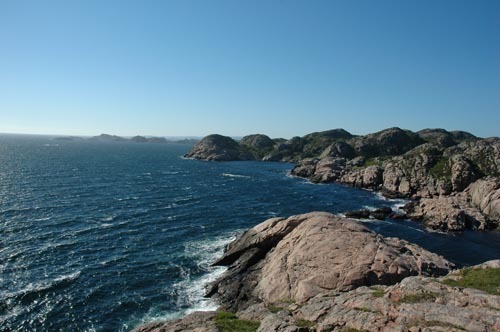 The view at Lindesnes Fyr.